This entry was posted on August 25, 2015 by Jessica Anderson. It's the start of a new school year! Excitement is in the air for students, parents, and teachers, with a new year ahead, full of possibility. When I began thinking about this blog post and the first day of school, the main thing that struck me is how awesome my kids' schools have been. It's not just me - they've been recognized nationally. Our elementary school, Sunset, was named as the 425 Magazine Best Public Elementary School, and Issaquah was just named one of the Best Towns for Families by Family Circle Magazine mainly due to the schools. What makes Issaquah schools so special? Besides great kids and fantastic teachers, I believe it's because of the community support our schools receive. And the biggest champion for our kids is the Issaquah Schools Foundation (ISF), which bridges the gap between state-provided basic education funds and the dollars our schools need to prepare students for success in school and life. 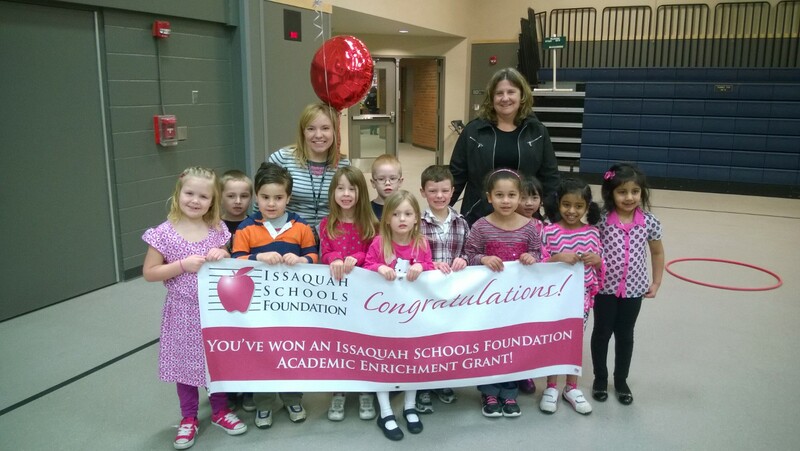 The Issaquah Schools Foundation was formed in 1987 and has given over $3 million dollars toward programs that encourage academic excellence, support struggling students and promote professional development of teachers. Personally my children have benefitted directly from foundation funding through after school library hours and support to the arts, specifically orchestra. 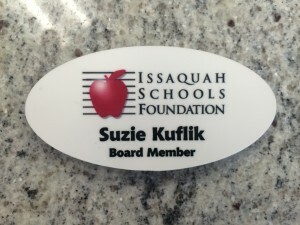 The badges we create for the Issaquah Schools Foundation. Every year ISF hosts a "Nourish Every Mind" luncheon and breakfast where partners attend to support the foundation. It's the biggest fundraiser of the year! They order ribbons for their staff, volunteers and donors. 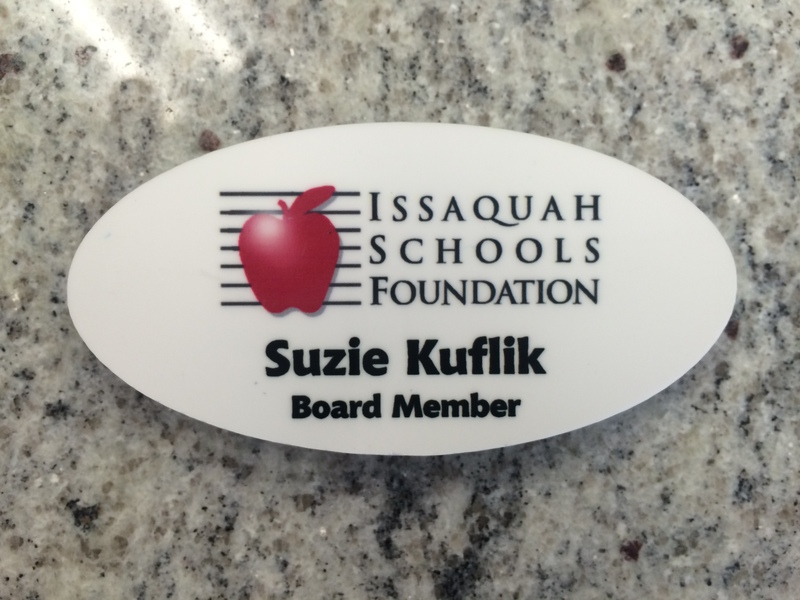 We also create name badges for their staff, executive committee and board members. 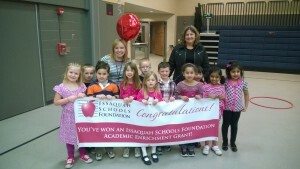 To find out more about the Issaquah Schools Foundation and what they do for students, visit issaquahschoolsfoundation.org. Thank you to all of the volunteers and staff who serve the foundation and our kids. Hats off to the great work you do. It's wonderful living in Issaquah and I wish students a great school year ahead!